So, if you have bought a blue rose, it will have been a white rose dyed blue, unless you have come across “Applause,” a rose cultivated after twenty years of research between the Australian company Florigene, and Suntory, its Japanese parent company, more of which later. 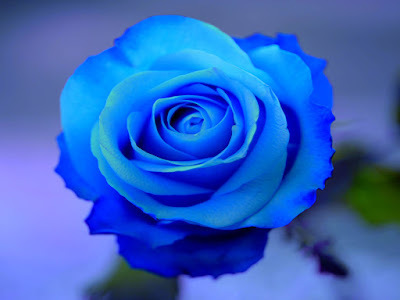 It appears to be as “blue” as a blue greyhound – it is actually more lilac in appearance, and the research on producing a bluer rose is ongoing. 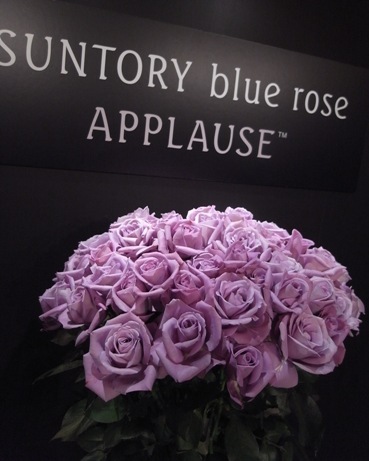 In the meantime, “Applause” is on general sale as a luxury item, particularly geared towards a Japan, where “Ikebana,” its tradition of flower arranging, is taught in schools. The strangest aspect of this rose is the presence of Suntory, as its company in the UK is known as Lucozade Ribena Suntory – in January 2014, it bought the drinks division of GlaxoSmithKline, minus Horlicks, which the British pharmaceutical company opted to keep. Suntory began as the name of a whisky, but now own brands such as Jim Beam, Teacher’s whisky, Courvoisier brandy, and Orangina. 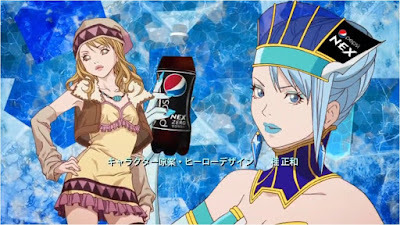 Suntory owns the vineyard Château Lagrange, in Bordeaux, where a high percentage of the grapes planet are cabernet sauvignon – delphinidin, the blue pigment in this type of grape, was transferred to “Applause.” Meanwhile, Suntory’s business as the exclusive Japanese bottler and distributor for Pepsi has made its way into the anime version of the manga series “Tiger & Bunny,” where its superhero characters receive on-screen sponsorship by real-life companies – the character sponsored by Pepsi is named “Blue Rose,” which I have concluded is a happy accident.